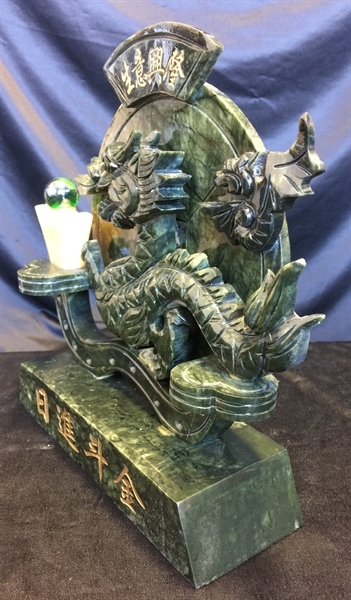 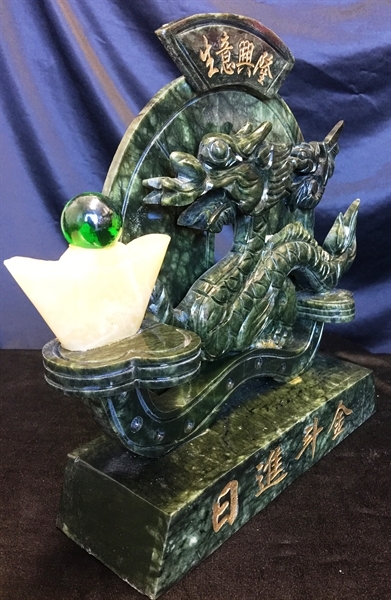 This beautiful piece of art is hand carved from jade. 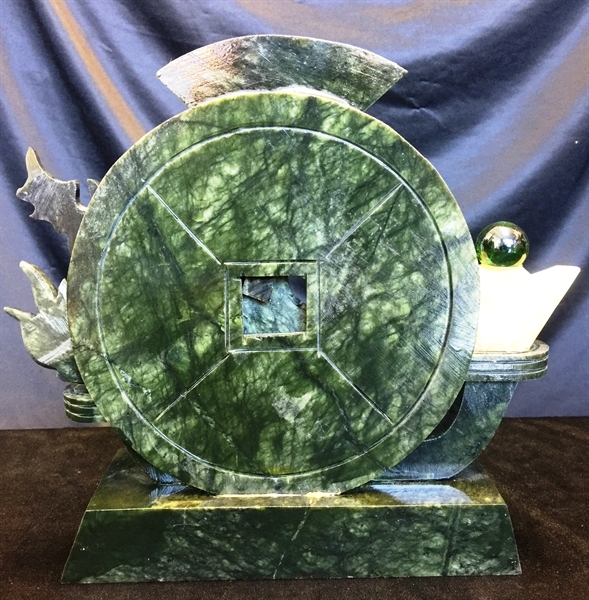 Dark green. 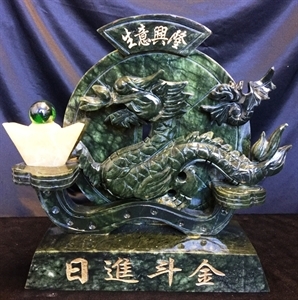 A dragon is carved in the center together with some coins, which means good fortune.